This video, produced by got breakfast? Foundation, shows success stories from schools across the nation who serve breakfast in the classroom. The Breakfast in the Classroom initiative takes the traditional school breakfast approach and improves it with one key ingredient: the classroom. Breakfast becomes available to everyone � no matter their income level � and it�s served after the opening bell.This makes it easier for all children to easily participate. Share our Strength � No Child Hungry: A movement of people committed to making sure that no child in America is hungry. Resources include videos, blogs and second annual survey among K � 8 public school teachers nationwide. The Food Research and Action Center (FRAC) is the leading national nonprofit organization working to improve public policies and public-private partnerships to eradicate hunger and undernutrition in the United States. Resources include School Breakfast Scorecard, fact sheets, USDA FNS school breakfast information and toolkits. NAESP � National Association Elementary School Principals, This site is designed to be a helpful resource for principals participating in the 2010-11 Breakfast In the Classroom initiative and informational for principals interested in getting breakfast in the classroom started in their schools. Resources include helpful tips for communicating with teachers, staff and parents about breakfast-in-the-classroom. The Breakfast First Campaign is an initiative to help California's students reach their full potential and California's schools maximize available federal resources by strengthening school breakfast programs. South Carolina Department of Education - It All Starts With Breakfast is a unique look at the positive effects of school breakfast. The video, produced by the SC Department of Education�s Office of School Food Services and Nutrition, carries the viewer through the school breakfast program in SC. 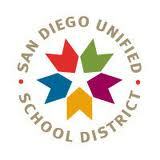 San Diego Unified School District - In more than 46 elementary schools in the San Diego Unified School District, the school day starts with a teacher teaching... and the students eating. The innovative Breakfast in the Classroom Program ensures each student starts the day right, with a nutritious breakfast. This section outlines various strategies that can be used to increase program participation. Ideas and resources are also included for improving meal quality and incorporating nutrition education into breakfast.